We help service businesses so their potential customers know all about the great things they do. The building trades are our specialty. We will develop a website that's up-to-date with the rapidly changing technology and trends. We will portray the uniqueness of your business and make sure it gives a great first impression. We'll keep adding blogs or photo gallery updates to catch the eye of your potential customer. It's so important to keep fresh, new content to entice buyers. We can help you keep your name in front of potential clients through consistent posting or through Google or Facebook advertising that will drive people to your website. We get it. You're an expert at what you do and not at marketing. We'll explain every step and guide you through the process. We know you're busy. But in order to keep top of mind you need to keep in front of people. 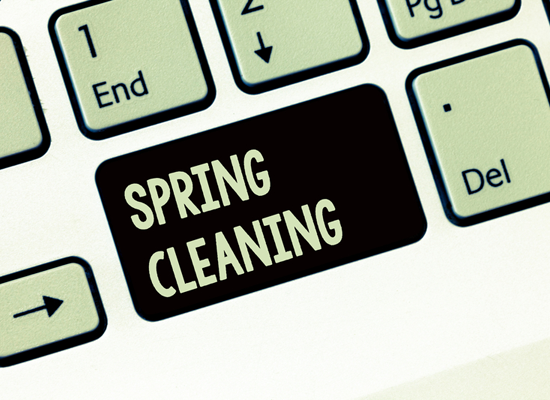 So we'll remind you - gently - to send in photos of your current job, articles, etc. No guessing what your invoice will be every month. We'll work with you to determine a budget and a pace that you're comfortable with. They are all are custom, mobile-friendly and optimized. Is that what you need? Do You Need Help with Internet Marketing? We’re Here for You. Tons of helpful tips from how to maintain your WordPress site to how to identify your target market. Sometimes things change with the times, other times they stay the same. I know, a bit confusing, huh? 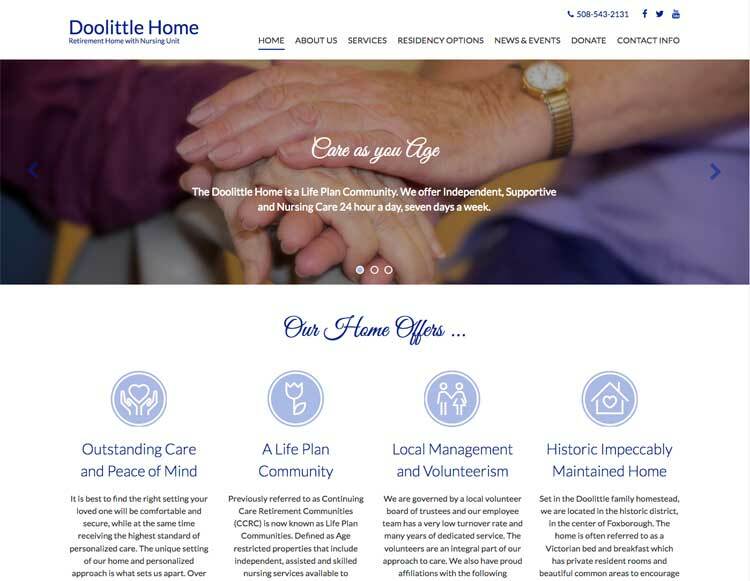 I want to tell you about The Doolittle Home in Foxborough MA. Do not hesitate to hire Monica!!!!!! Monica was introduced to me as a solution for some website upgrades. She Initially analyzed the existing site and made some very interesting points, I hired her to make the edits even though the website was just under a year old. Later I was informed that my site was not "Mobile Friendly" by Google. If it was not fixed any ranking we had with Google would be compromised. Monica jumped right on the issue and solved this issue promptly! Do not hesitate to hire Monica!!!!!! 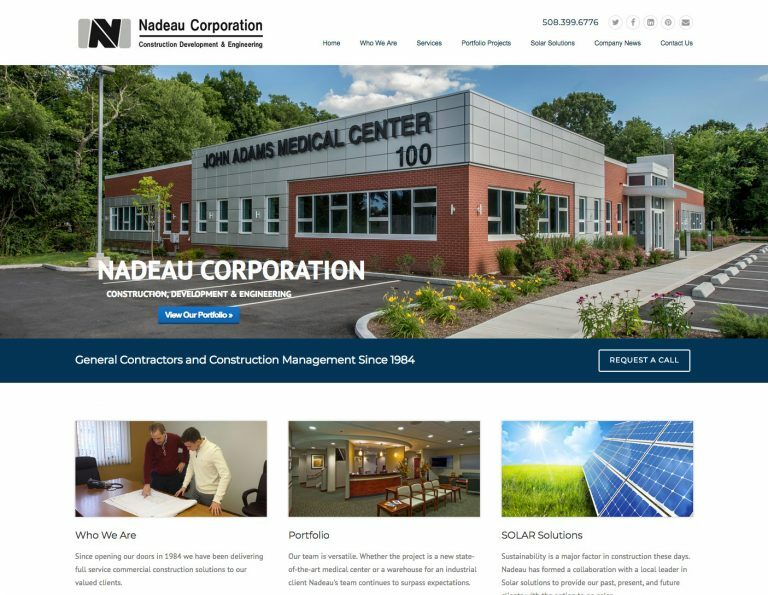 "Nadeau Construction Corporation enlisted Monica and Simple Wizardry to bring our commercial construction firm’s website out of the Stone Age. She not only delivered above and beyond our expectations, but was responsive to every request and at less than the cost of her competitors. Monica really spent the time to understand who our target audience was, what the best way to reach them would be, and designed a website that achieved our goals efficiently and with an elite image. Monica worked hand in hand with us to make sure the design portrayed our high quality construction projects. 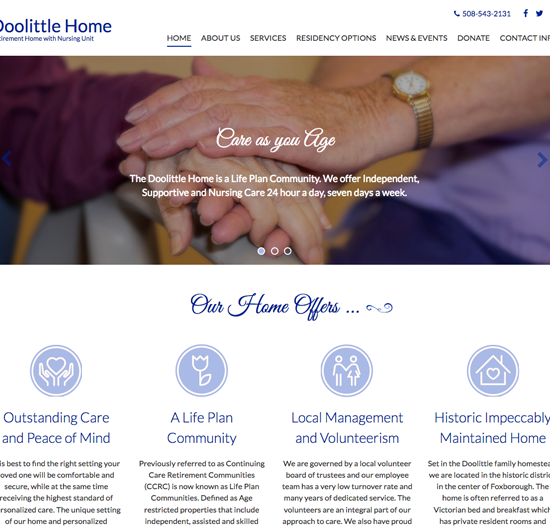 We really wanted a website that we would feel proud of when directing a prospective client there, and Monica delivered. Our construction firm operates in the commercial realm so we have a lot of upper management of businesses browsing our projects and I can honestly say I beam with pride when I direct them to our site for more info. Simple Wizardry was down to earth, accommodating, and extremely competitively priced. Monica was an absolute pleasure to work with even when our hosting company dropped the ball time and time again. She did such a fantastic job, that Nadeau switched our contract over to Simple Wizardry for our hosting needs as well! I would highly recommend Monica and Simple Wizardry for any company looking for a reasonably priced website and an enjoyable experience overall. Please don’t hesitate to reach out if you have any questions or concerns prior to hiring Simple Wizardry." Monica is – by far – the best! "I hired Monica Bentley to “revive” my website in May of 2016. Over the course of my long career, I have worked with 3-4 website developers, and Monica is – by far – the best! If you are investing in a new or updated website, you want someone who a) knows the technical side of web development and b) can walk you through the development process, knowing when to gently “push” you to provide material. Monica is unique in that she focuses not only on developing the website, but on the bigger picture – that of your digital marketing presence. She incorporates her knowledge of website design with search engine optimization with digital marketing strategy. The results? A professional, easy-to-find, website with digital marketing components such as blogs, articles and more. I enjoyed the process of working with Monica. She strikes that delicate balance that allows you to work at your own pace and getting the job done. For me, I wanted it done quickly so I set an extremely fast pace! She kept up and made the time to review and comment on all that I sent to her. I enjoyed our “virtual” conversations. She just finished with my website, and I have to say, I am thrilled. She kept after me to get good pictures, great finished copy and blog articles. The results are very satisfying. I highly recommend Monica for your digital marketing and online presence needs! Please feel free to contact me if you have any questions." Her creative approach and eye for design and detail gave me the website I envisioned. "I would like to say thank you to Monica at Simple Wizardry. Over the past several months she has been partnering with me to develop a website that reflects my brand image and easily displays my products and work. Her creative approach and eye for design and detail gave me the website I envisioned." 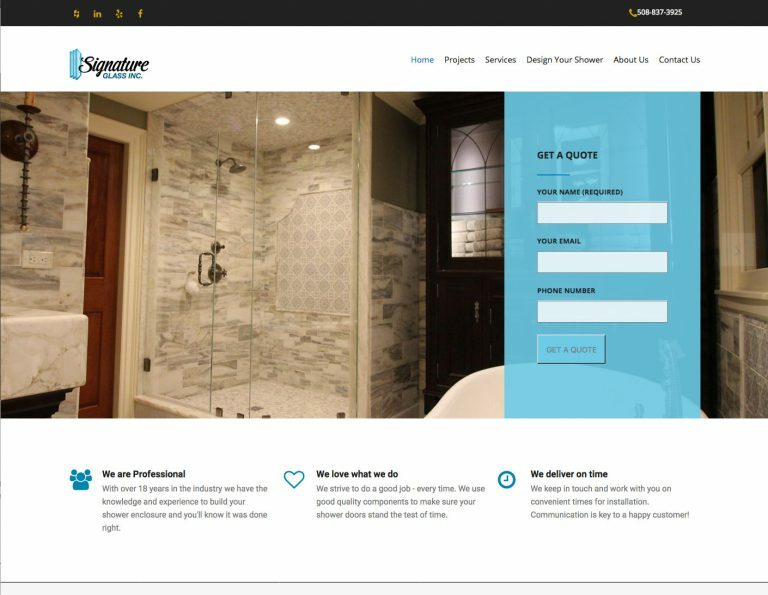 Brian Bentley	- President, Signature Glass Inc.
"Monica recently designed and implemented my new website. What I loved about her services is that she was on top of the latest and greatest news about SEO, social media, etc. This is so very important as I learned through this whole process." "Monica has done a SPECTACULAR job in managing my Web page. My hits are up, my search optimization is up and the site is working and looking fantastic. I am so glad I hired her to manage the everyday stuff so I can concentrate on running my business!! Thank you Monica for all the GREAT work!" 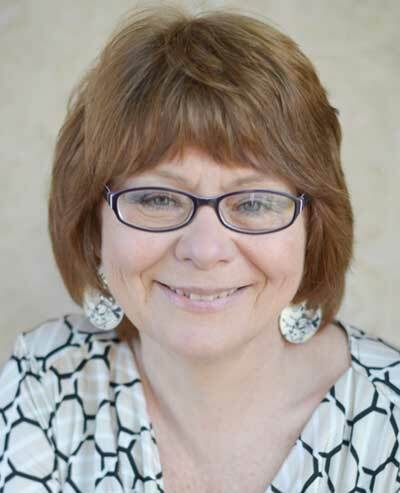 "Monica has been handling my website and face book accounts for years and I couldn't be more pleased! All of us need advocates and Monica is my electronic communications advocate." We have had one of those canned websites provided by companies for CPA firms for many years. 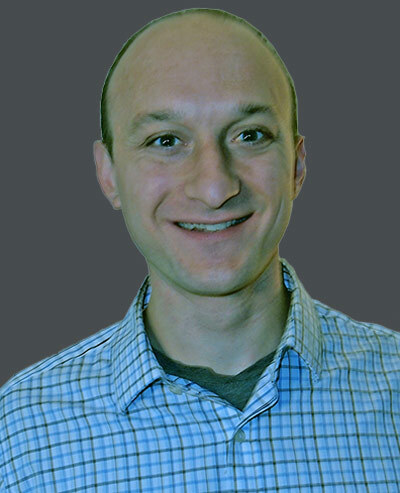 At the beginning, it served our needs but as we became more knowledgeable about how a better website could enhance our presence with prospects and clients we realized we had outgrown our current provider. When we tried to enhance the site, we kept hitting roadblocks in being allowed to make changes and the provider's response time for the promised support was not very good. We approached Monica Bentley from Simple Wizardry with our need to have a website that would allow us to differentiate our service as a Tax planner and not just a plain vanilla CPA firm who only does taxes. We needed someone who could help us attract our Ideal client. 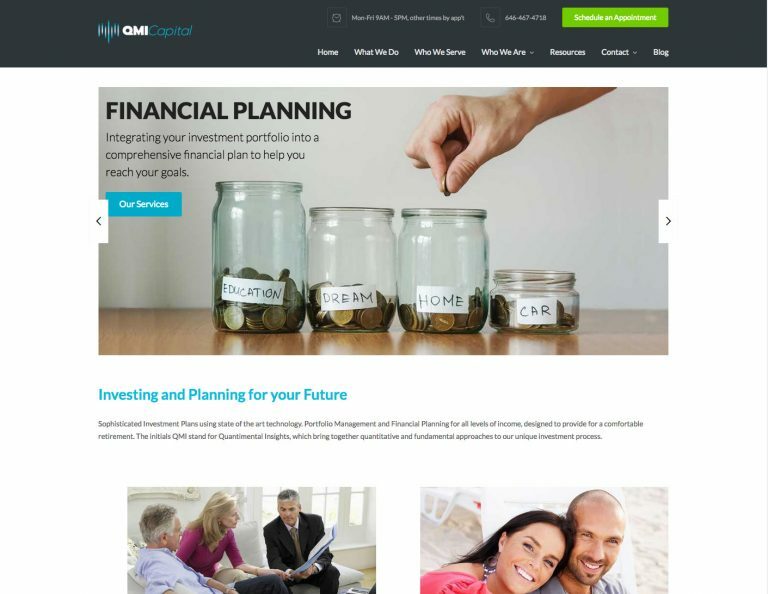 As we developed the site we saw what a huge difference Simple Wizardry made in building our new site. First Monica took the time to understand our business and what we wanted to accomplish with the site. Then she outlined the pages needed to build the site. At each step, Monica provided input on our content and how we should be considering what we say to attract the right type of client. She recommended graphics to make the site pop. She kept us to important deadlines along the way and continued to remind us the steps remaining on our part. 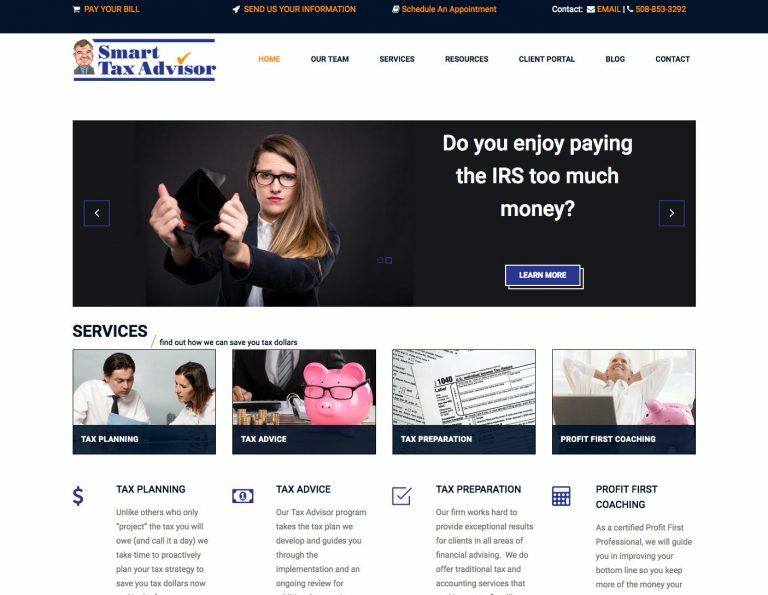 Our new website titled www.smarttaxadvisor.com is up and running with still more enhancements to come and already it is an amazing website! It took time and effort to get to this point and the quality and attention to detail Simple Wizardry provided shows why a DIY or quick turnaround site doesn’t bring you the results you’re looking for. I can’t thank Monica and Simple Wizardry enough for the great work they have done and would recommend their work to anyone. In fact, if you want to talk to our office about the results feel free to email us at info@pauldioncpa.com." 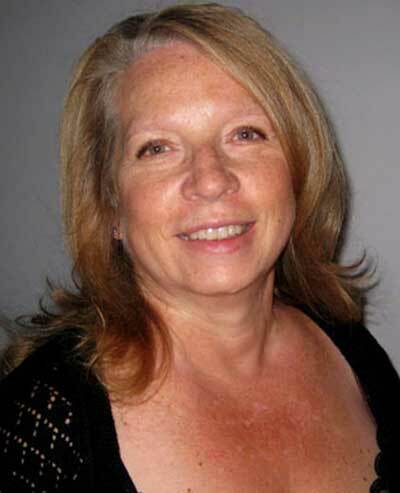 "Monica took the time to get to know my business from top to bottom. 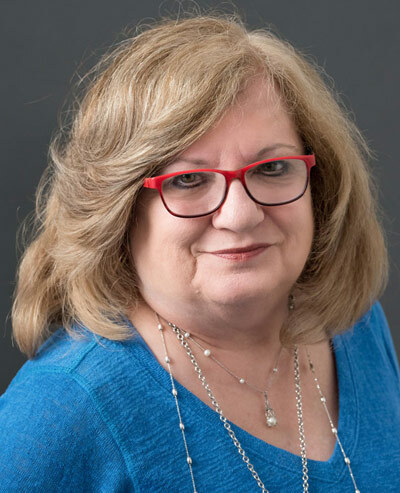 She used the information to really hone my website so that it attracts the right clients and provides those prospects with the right type of information. Being that I am constantly going from job site to job site, Monica was instrumental in keeping me focused and on task and within our agreed upon deadlines. Monica really knows what she’s doing and she is extremely helpful in determining what to focus on when creating a web presence for a company that has operated solely on referral business. Monica made it a point to use layman’s terms when making suggestions and asking questions with respect to my business. I highly recommend Monica and her team at Simple Wizardry. " To keep one of the testimonials on the screen so you can read it click on the grey circle underneath it. Looking for help with your WordPress website or social media management? Let’s talk about your goals and how to reach them. We’ve got you covered. Our team can help you through web development, social media, Facebook or Google ads, copywriting, branding and PR. Your business is unique and we want to help get the word out. We get to know your business so we can portray it properly. We want to help you let the world know about your business and services. We help you determine who your target market is and how to tell them about your fabulous services. Everybody has a story and people identify with them. We'll help you tell yours to attract your potential customers. Tell us your goals, dreams and desires. Let's talk - no obligation.